While most people enjoy driving through neighborhoods listening to Christmas music and looking at Holiday lights, we thought why not take the display and make it mobile. Kick off the day celebrating Small Business Saturday with our merchants. Kick off the Holiday Season in style! 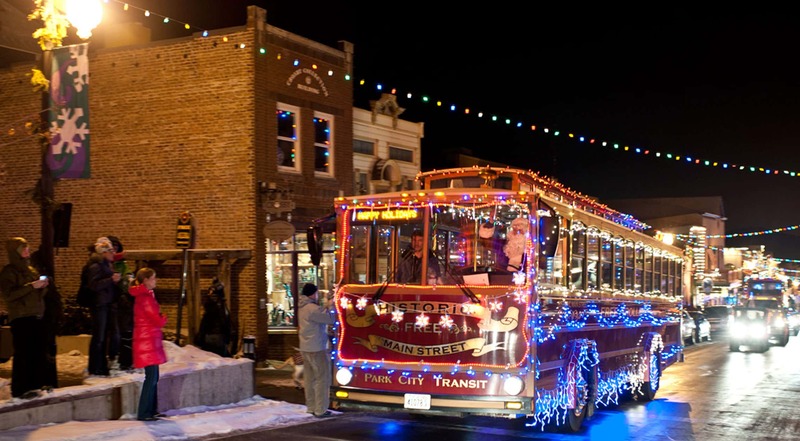 Come up to Historic Park City for our Winter Electric Parade. Participants have the chance to win cash prizes in one of four categories, awarded by a panel of local judges. Join us as we electrify Main Street! We will be holding the official lighting of the Town Christmas Tree and Main Street lights before the Electric Parade. Beginning at 6pm, Parade participants will leave City Park and proceed up Park Avenue to Main Street. To make this a great event, we need you to be a part of it too. Come join the fun, light up your car or bicycle, and be a part of the parade. There is no cost, but you do need to register. Contact Lisa Phinney.